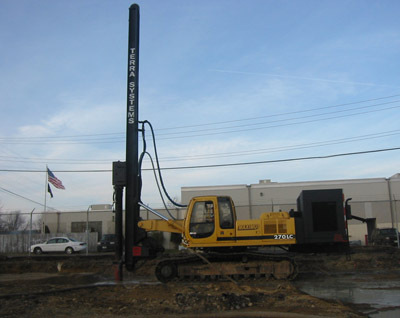 Vibrocompaction was used at the site of a major expansion of the Hanaford Dairy plant in South Portland, ME. The site was underlain by loose sands, silty sands and clayey sands to a depth of approximately 22 feet. The purpose of the vibrocompaction was to densify the soils for liquefaction mitigation and to allow shallow foundation support. The vibrompaction work was successfully performed with our TerraPac rig, using water jetting to assist in vibroflot penetration.